This car also deserves estimated numbers. 0-62 mph-3.7 , 0-100 mph - 6.9 seconds, correct, please! @ lafars: Canada?, finally, something interesting about my country's neighbor to the north. @ CoolShirtGuy: If you want to see a car that really looks like a catfish, look up the 1956-57 Packard Clipper, it's got the flat front end and tailfins, cool car, though. Yeah.. that's a shame the car's tech isn't appreciated with tests. An Ultimate Aston, and now mostly everyone are kept in the luxury garages.. Still I consider that this car is only a prototype made in 77 units. 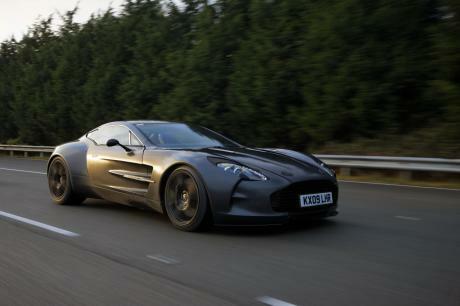 Every time I watch this Aston, I memorize SLR McLaren Moss. Absolutely the same problem.. even almost the same amount of produced units. 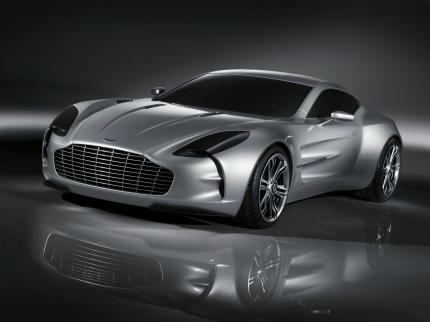 Huh, actually Aston could a such swindle: to set in One-77 body all DB9 tech including an engine and then sell it with a million price, claiming that this 77 unit exotic is the Ultimate Aston Martin with a 7.3 liter V12... Hopefully that didn't happen... What's the hellish difference, if it won't be even tested.. 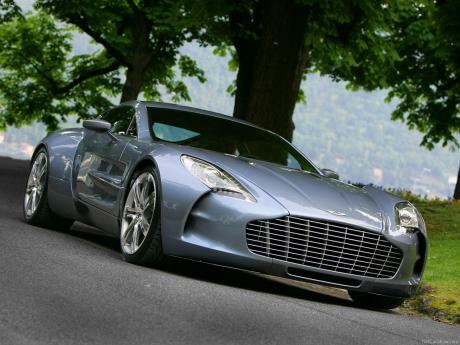 I would be an imbecile if I afford One-77, if I was a millionaire... though not, if I bought one, I'd get it tested! Like I said, there are 76 in the world now. Yep, Top Gear mag was the only publication that got any hands-on time with the car(though I think someone from either EVO or Autocar got to ride shotgun in one). In their article, they even mentioned that Aston Martin explicitly stated no journalists could drive the car, only owners. Top Gear got it because...well, it's Top Gear. It's got the largest following of any automotive publication/show in the world. So if anyone would've gotten a chance to drive it, it would've been someone from their staff. Probably doesn't hurt that they're fellow Brits, as well. 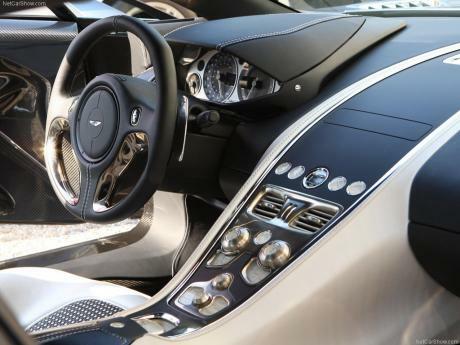 Also, now that you mention it, the One-77's steering wheel does look awkward. It's all bulbous and off-center. It actually reminds me of the wheel seen in the interior renders of the SSC Tuatara, which looks just as strange. And that brings me back to my point about how cars like this are rarely ever bought by people who appreciate them. They just want to show people that they've got enough money to drop $1.4mil on a car and not even care. A car they might drive twice a year, tops. It's sad, really. AM claimed that only the owners should get to experience the One-77, but I have to wonder if they intended for them to be "experienced" under a tarp, hidden away in some massive, climate controlled garage, surrounded by other super-rare/super-expensive cars that haven't seen the light of day in years. I'm just talking about cars that are at and/or over the $1mil mark. And I know it's kinda ridiculous at this point, but I don't think the One-77 is work even a single dollar over the Huayra, let alone over 300,000 of them. 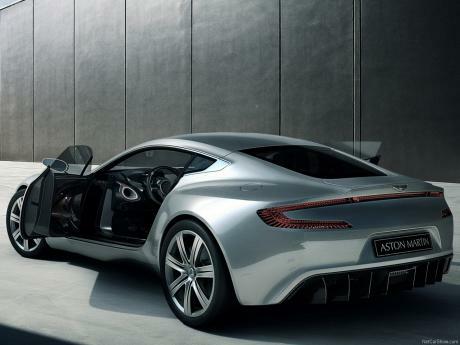 Maybe Aston Martin is actively keeping One-77s out of other people's hands even after they've been sold. AM did say that they wouldn't allow journalists to drive it, so who's to say they haven't reserved the right to take someone's One-77 if they hand it over to a magazine? I think Bugatti does the same thing with the Veyron, in that if you modify it in any way, they have the right to buy it back from you, or take legal action if you refuse. Agera R has only been driven round track, and im sure thas how they want it, along with tested by a 3rd party, Huayra is a good £400,000 less then this(Give or take) A Veyron has made an Impact in the world that this Aston hasnt, 1st production car fitted with 1000Bhp+, along with a W16, and a Top speed record that has now been eclipsed by Another Bugatti. Its not like i can blame the people for not wanting to put this car to the test, not at theat price. 3 reasons why this car isnt tested, 1, availablity, cant get there hand on one, or nobody will let them(Same) 2, high price, so its less likely, 3, Tailored to recipients request, add all 3 together, it akes for either an impossible get, or barely anything, a good reson why the SSC Aero and Zonda Cinque was never tested. True, but look at other cars in that price range. The Koenigsegg Agera, Pagani Huayra, Bugatti Veyron, Venom GT; those cars are still talked about and still relevant. The One-77 came and went like it was just another passenger car. Aston Martin wouldn't even let journalists drive it(though they did hand it over to Top Gear magazine). It just faded into the background of automotive history, and the last mention of it exposed a mechanical problem. It looks like that's how AM wanted it, but you'd think they'd want to put their first "real" supercar on full display, if only to show the world what they were truly capable of. I know there are only 77 of them(76 now...), but is that really an excuse? There are only 5-6 Venom GTs in the world(for now), yet journalists still get their hands on them every once in a while. There's only 1 Pagani Zonda 760RS, but EVO still got to test it. It just seems weird to me. If you're going to make a beast like this, why not show it off? AM certainly isn't shy about doing so. Also, I agree about the looks. I've always said modern Astons look like catfish from the front(as do a lot of cars, like the Huayra and 458), but this one takes the cake. Not many cars that cost £1,260,000 end up being tested, and to make it worse, cars costing that much, and being tailored to the customers desired, get tested even worse, not too mention this isnt the kind of car you wold want people thrashing round the track, or burning the tyres to get accekeration runs, even if you can afford to fix it. And the people who end up buying them, most anyway, dont want that, Not gonna say it failed to deliver, Aston claimed a 0-62mpg time of 3.5s, and a top speed of 200mph+, thas all, nothing else, and Aston delierd on the Top Speed promise. but they ruined the looks, the DBS is Much prettier. Man, what happened to this car? When it was announced, everyone was buzzing about it. But after it came out, nothing. No tests, no reviews, not even articles about who bought one. Last thing I heard about it was that one refused to start, and I think that was last year. What, was it one of those cars that failed to deliver on the manufacturer's promises? That's the only thing I can think of, as this thing faded into obscurity quick. It's sort of like when a movie comes out in theaters, and you see commercials for it on nearly every TV channel, hyping it up like there's no tomorrow. But then when it finally comes out, and performs poorly at the box office and is panned by critics, the commercials are pulled and you never hear about the movie again until it comes out on DVD/Blu-ray. That's what the One-77 strikes me as. A product that was hyped up to no end, but ultimately failed to deliver. 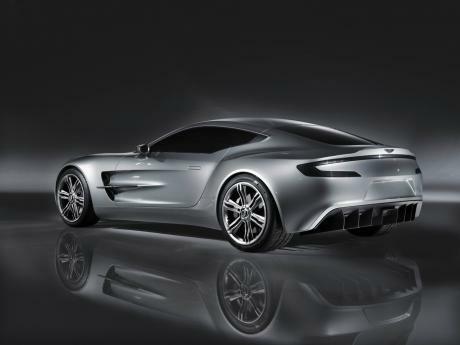 I love Aston Martins and this one is my favorite, 750 horsepower, 220 MPH, and it looks awesome! Aston Martin really outdid themselves. how is the sound inside the car? there where i actually life are 3 of them, but i cant drive one. You actually saw it? You lucky person. And yes it does have a spoiler, I have driven it. i saw this car at a car show in london. it has a spoiler (which is original). Uhmmm... is 0-62 time done in 3.2 s? I think it's false. All they claim that 0-60 is 3.5, and I think it's more believable. I know everyone has their opinions on how a car should look but its hard to deny just how stunning this car is. 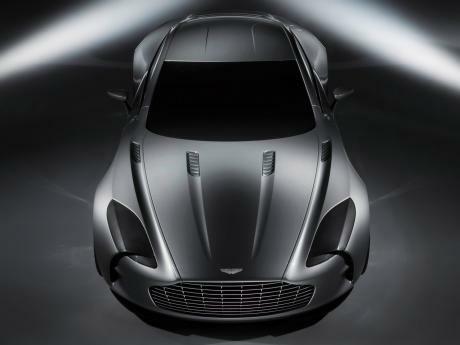 The tuatara is very futuristic but this aston is a work of rolling art. 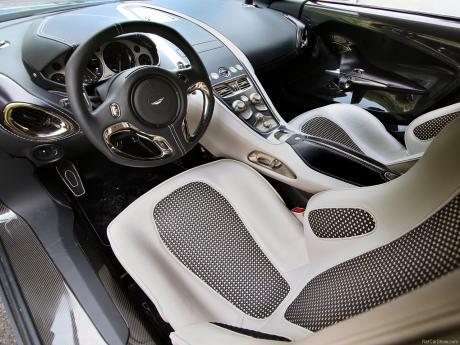 Does anyone else feel that this $1.5M aston is a let down? its performance is piss poor. yes this may look better than the aero but the tuatara smacks it for the way it looks, in fact i think the tuatara is one of the best looking cars ever made, almost certainly one of the best this decade, and that has 1007 kw against this cars 559? and weight 1250 kg rather than 1500 and i would certainly have a tuatara over this (any car for that matter), even though the tuatara's interior might not be as nice the Huayra has this done for perfomance looks and defiantly interior aswell, one of the best in the world i think. sorry aston but the game has moved on.